Casual, comfortable, and durable flip flops. 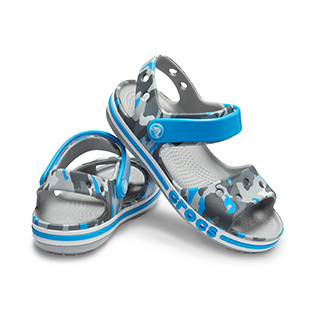 Durable, easy-to-wear flip flops are sure to keep your feet happy all day long. Casual comfort. For any season, any reason – whether warm, hot, or when you’re feeling cool. 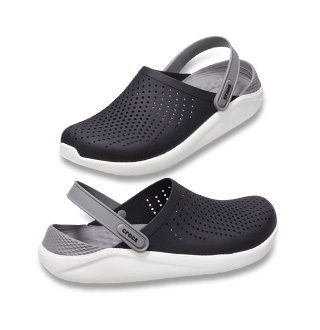 Slide those feet into the comfortable always-ready style of men’s flip-flops from Crocs. Hike the urban trails or trek the great outdoors in easy slip-on flip-flops for men. Chill out in colorful flip-flops – whether at home or basking in the sun. Increase relief with athletic flip-flops. And step into style with leather and suede flip-flops from Ocean Minded by Crocs™. Easy comfort. Cool and casual style. That’s what people say about men’s sandals from Crocs. Men’s dress sandals with suede accents, sporty styles for after the big game, and on-the-go anytime comfort of retro and classic men’s sandals. You’ll flip for our men’s comfortable flip-flops – in leather, suede and comfortable Croslite™ material. Men’s slides offer an athletic look in bold brights and classic neutrals. And our men’s beach sandals and surfer-inspired flips from Ocean Minded by Crocs™ offer seaworthy style with an eco-friendly design. Super comfortable flip flop. Can't wait to wear them this summer. Love my Crocs! No more planter facitis! I will buy again. Need a pair for day trips. This is one of the most comfortable shoes I have ever bought. I hate shoes indoors but my doctor said I should wear something soft because I have concrete slab floors. This shoe is my inside shoe and I don't have any problem with it. I tell all my friends & family how fabulous these flip flops are.